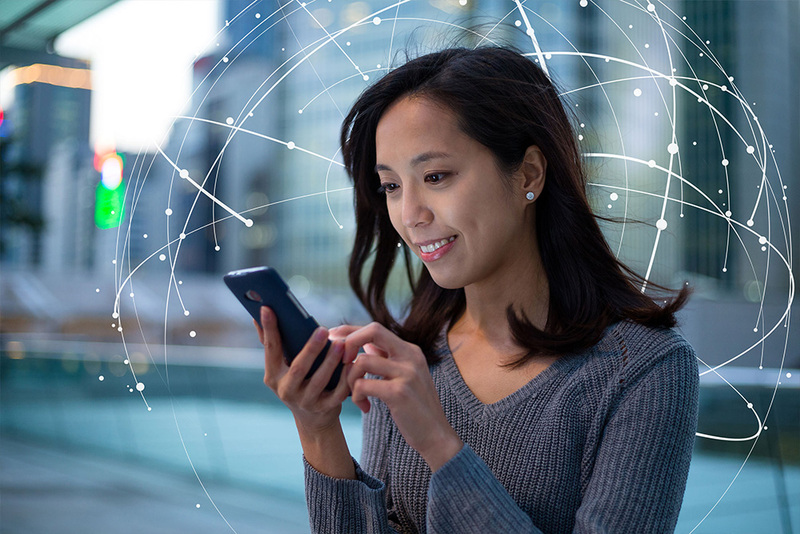 Connected Spaces is a combination of technology and data that enables you to better identify, understand and engage with customers across all touchpoints. Destinations, venues, terminals, malls, resorts now recognise they are more than physical spaces – today they exist to enrich consumer experiences. How can these spaces unlock this potential? Airports need to look at how they deliver experiences that engage and reward the many passengers that flow through our major hubs. By placing the passenger at the centre of the experience, simplifying the necessary tasks, engaging them with timely and contextually relevant messages, the passenger is put at ease and can avail themselves of opportunities that will enhance their experience. Malls are mostly unaware of the customers who are visiting the many brands who reside in their space, often turning up unannounced and remaining anonymous. It would be great to work with those brands to curate relevant messages between visits, welcome them with a simple message on arrival with an offer or inform them of the busy routes home. Your customers may be loyal fans but with their connected devices, they’re doing more than sitting watching their favourite team while they’re on site. More and more stadia and arenas boast food, drink and shopping and, like all customers, they respond best to relevance. A growing number of sports stadia are like arenas, with a variety of artists and events occurring posing opportunities to connect data across partners. Other ‘spaces’ benefiting from Connected Spaces are tourist destinations, theme parks, attractions, cruise lines, casinos and even islands and cities being perhaps obvious examples with the inherent advantage that they are ‘the’ destination. Yet few would argue they’ve maximised their potential to market before, during and after and with their partners to optimise the experience and business return. Discover how to better engage, understand and engage with your customers across all touch points and give your customer experience strategy a leg-up. Speed – Acxiom and Adobe have partnered to ensure the solution is set up and integrated much faster than a typical marketing system, creating results and delivering ROCI faster for your business. Completeness – our solution features a complete core offering, primed and ready to make a massive difference even before layering in other services such as data and campaign support. Flexibility – features Adobe’s world-leading customer experience technology with Acxiom’s ability to connect marketing technology and processes at the data layer, but also understands and respects that your business may have legacy technologies, data feeds and complementary solutions. Proven – Acxiom and Adobe, together, have delivered this solution to arguably Europe’s biggest retail site in the shape of Heathrow, a £1.9bn business facing all of the challenges and aspirations mentioned and now enjoying fantastic results such as +23% uplift in spend per visit. The Acxiom Consumer Engagement team design, deliver and optimise CRM strategies and communications.